A team representing the Trust that runs Shropshire’s two acute hospitals is to take on the world’s fastest zipline to raise money to improve care for patients at the end of their life. The team, headed up by Jules Lewis, End of Life Care Facilitator at The Shrewsbury and Telford Hospital NHS Trust (SaTH), will take on the challenge on 29 September. Jules, along with Jules Lock, End of Life Care Lead Volunteer; Debbie Snooke, End of Life Care Specialist Nurse; Kal Lloyd, End of Life Care Champion and Staff Nurse on the Intensive Therapy Unit at the Princess Royal Hospital (PRH) in Telford and Dee Radford, Quality Manager, will reach speeds of up to 100mph as they zoom down the 1,555 metre zipline at Penrhyn Quarry on the edge of Snowdonia. They will be joined in their adventure by Roy Lilley and Dr Terri Porrett from the Academy of Fabulous NHS Stuff, set up to share the best ideas, innovations and concepts happening in the NHS. All of the money raised from the adventure will go to the Swan Fund at SaTH, which runs the PRH and Royal Shrewsbury Hospital (RSH). Jules Lewis said: “We have done a lot of fundraising for the Swan Fund, but I haven’t done anything like this before. “Debbie Snooke did the zipline back in February to raise money for the fund and loved it. So we got talking and decided we would do it again with a bigger team. The Swan Fund was set up three years ago with a £500 donation from the funeral of Jules Lewis’s father, Harold. Since then the fund has raised more than £20,000, allowing SaTH to open 16 Swan Rooms, which allow families to spend time with their loved ones in a homely and relaxed environment, instead of in the medical surroundings of an acute clinical ward. 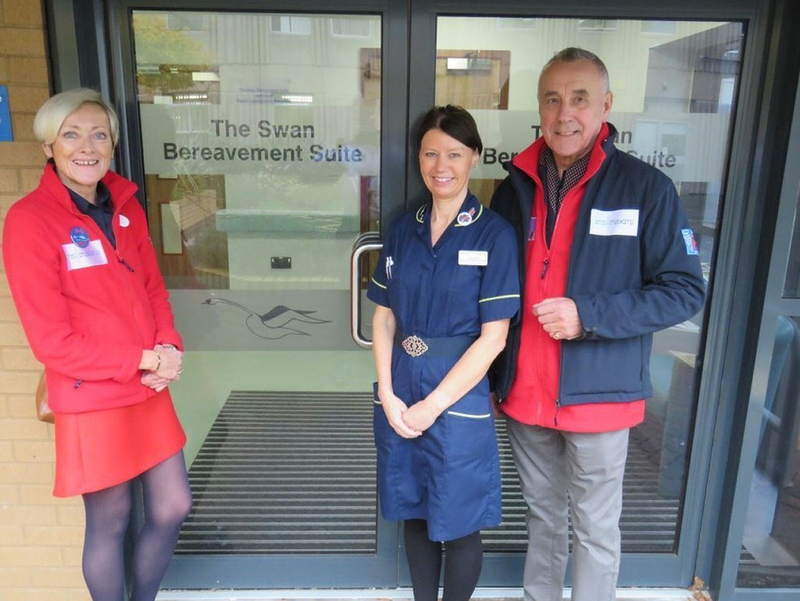 Money from the fund has also been used to purchase the XCcube system, which allows the dignified transportation of a deceased person to the Swan Bereavement Suite; vouchers for relatives; coping with grief leaflets; Swan Bags and contents for unexpected deaths and much more. The fund is also support by The League of Friends of the RSH and the Friends of PRH through Swan Memory Boxes, which can be used by relatives and loved ones to keep special items.